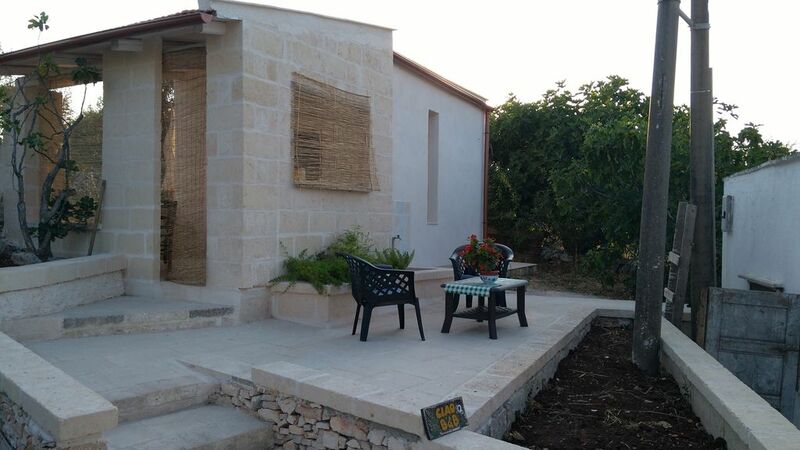 Room in white tufa and a trullo, renovated in modern double bedrooms with private bathroom. Also available open space with sofas and veranda, even parking. The room has a double bed and a private bathroom. There is a parking. In Speziale (fraction of the municipality of Fasano with about 300 inhabitants, in the province of Brindisi) you can eat fried panzerotti in the late afternoon ... excellent aperitif accompanied by a typical icy peroni. enjoy. In Pescaria, a street food in Polignano a Mare you can taste tuna and swordfish sandwiches. Do not miss. Then you can visit Coccolicchio, an ancient village in the area of ​​Fasano, just a few minutes away. If you want to know the local culture do not miss its festivals and summer events! You are then looking for musical events, there is IL LOCUS, a traveling festival that takes place in different locations and in the historic center of Locorotondo that will satisfy any musical taste. Did you know that in Martina Franca there is one of the biggest antique markets in Apulia? Vintage enthusiasts meet there to find small pieces of furniture and make big deals. Just 5 minutes The Zoosafari In about 5 minutes you can reach the Zoosafari. It is the largest zoosafari in Italy, 140 hectares of wildlife park and amusements. In an absolutely protected environment, 1700 animals, of over 200 species, can be admired in complete freedom. In recent years, the amusement park has also been strengthened with new and exciting attractions for all ages. At the Animal Theater one of the most exciting shows is with the sea lions; at the Fantasy Theater, attractions and shows range from magic to the performances of international circus artists. From the Great Lake of the Mammals, to the Monkey Village, from the Tropical Room, to the rides, to the games and to the gymnastic itinerary a complete proposal with the classic "Il Coccodrillo" restaurant, fast food bars, self-service "Safari", shopping in the souvenirs market and the offer of typical products.